Since the early days of social media, ordinary people have been creating quality user-generated content. Brands were not far behind the trend, looking to capitalize upon the great content their consumers were producing. Brands from all sorts of industries, from Starbucks and Burberry to Chobani, have developed marketing campaigns that benefited from UGC. Many of these campaigns have been moving and memorable, like a recent campaign from Target that included an emotional commercial featuring user-submitted videos of students opening their college acceptance letters. Now that the balance of power in the economy has shifted away from companies to the consumer, brands understand the immense value this content has, and they mine social networks for this user-generated content. UGC not only showcases the relationship that consumers have with a brand or product, but it also provides a massive endorsement of it. Likewise, users are becoming more sophisticated in terms of understanding their rights as content creators and more aware of the power their content has in the social sphere. Because users have a higher level of sophistication, brands must be more attentive to what is being said and how it’s being shared. Initially, you might think it’s straightforward for a brand to share or reshare this content across owned social networks or web properties, but sharing UGC opens the door to sticky copyright issues and potential legal action. Prior to the social media boom, using someone else’s photos generally required getting consent from the person who created the original content before it could be reused for marketing or advertising purposes. Today, with easy access to digital content, the lines of ownership have been blurred by brands, publications, and other people. Users are waking up to these infringements and beginning to assert their own rights to their content. Brands now must accept the onus to obtain the proper consent from users. Unless there is implied consent within the marketing program, like Coke has with their #ShareaCoke campaign, brands need to reach out to users to acquire this explicit consent. Without getting this consent, brands may face public backlash, like Crocs did last fall for not asking for permission prior to using a customer’s Instagram photo on their website. Previously, the process of curating and contacting users was manual. Now, brands can introduce automation by implementing simple tools. These tools should first identify fans who are sharing relevant content on social networks, then provide a straightforward method for soliciting explicit legal consent from users. A tool like Janrain’s Engagement Platform has UGC Rights Management features built into it to facilitate these requests. These kinds of tools allow brands to effectively and efficiently get the explicit consent required. Take a look at your current brand strategy regarding UGC. Are you taking the necessary precautions to protect yourself from costly lawsuits and negative publicity? 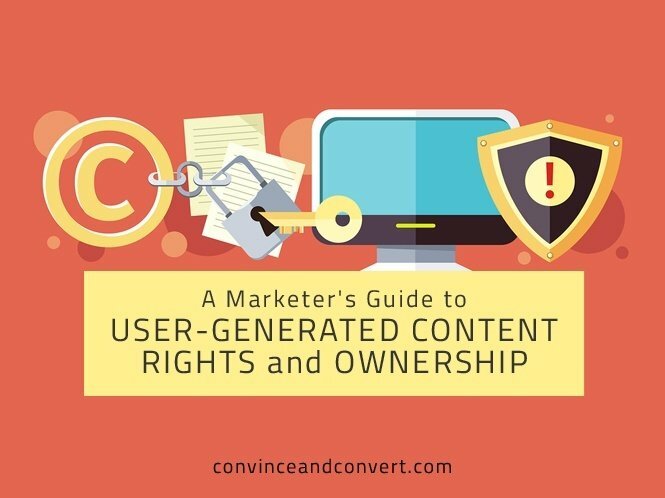 Successfully implementing UGC consent requests means your brand can significantly reduce legal risk and protect brand reputation, which aids the attraction and retention of loyal consumers. Rahul Aggarwal is the GM of the Customer Engagement Business Unit for Janrain and former CEO & co-founder of Arktan, where he drove product innovation and managed all aspects of the company. He is the author of over 25 Internet Standards, published as drafts and RFCs and also holds over 40 patents.